View The Obituary For RAQUEL ‘NANCY’ (DANIELS) CARR. Please join us in Loving, Sharing and Memorializing RAQUEL ‘NANCY’ (DANIELS) CARR on this permanent online memorial presented by Baker Funeral Home Valley Center. View The Obituary For Roy Braught. Please join us in Loving, Sharing and Memorializing Roy Braught on this permanent online memorial presented by Broadway Colonial Funeral Home. View The Obituary For Janet Bueker. Please join us in Loving, Sharing and Memorializing Janet Bueker on this permanent online memorial presented by Broadway Colonial Funeral Home. View The Obituary For Cynthia Kay Fuller. Please join us in Loving, Sharing and Memorializing Cynthia Kay Fuller on this permanent online memorial presented by Dunsford Funeral Home and Crematory. View The Obituary For Richard D. “Dave” Webster. Please join us in Loving, Sharing and Memorializing Richard D. “Dave” Webster on this permanent online memorial presented by Bryant Funeral Home and Nicholson-Ricke Funeral Home. View The Obituary For Wayne C. Miner. Please join us in Loving, Sharing and Memorializing Wayne C. Miner on this permanent online memorial presented by Roberts Family Funeral Service. 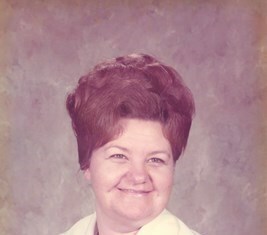 View The Obituary For Wanda S Barker. Please join us in Loving, Sharing and Memorializing Wanda S Barker on this permanent online memorial presented by Prairie Rose Funeral Homes. 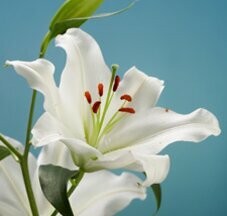 BELOIT — Kenneth Earl Wolf, 96, formerly of Lincoln, Kan., passed away Thursday, March 14, 2019.Hall Funeral Home, Lincoln, is handling arrangements. HILL CITY — Stephen “Wayne” Bump, 72, of Hill City, Kan., passed away March 11, 2019.Stinemetz Funeral Home, Hill City, is handling arrangements. Lawrence “Larry” Sams, 93, of Salina, passed away Friday, March 15, 2019.Ryan Mortuary, Salina, is handling arrangements. OSBORNE — Connie S. Anderson, 74, of Osborne, passed away Thursday, March 14, 2019.Clark-Gashaw Mortuary, Osborne, is handling arrangements. BELLEVILLE — Thomas F. Grover, 79, of Belleville, passed away Thursday, March 14, 2019. Bachelor-Surber Funeral Home, Belleville, is handling arrangements.